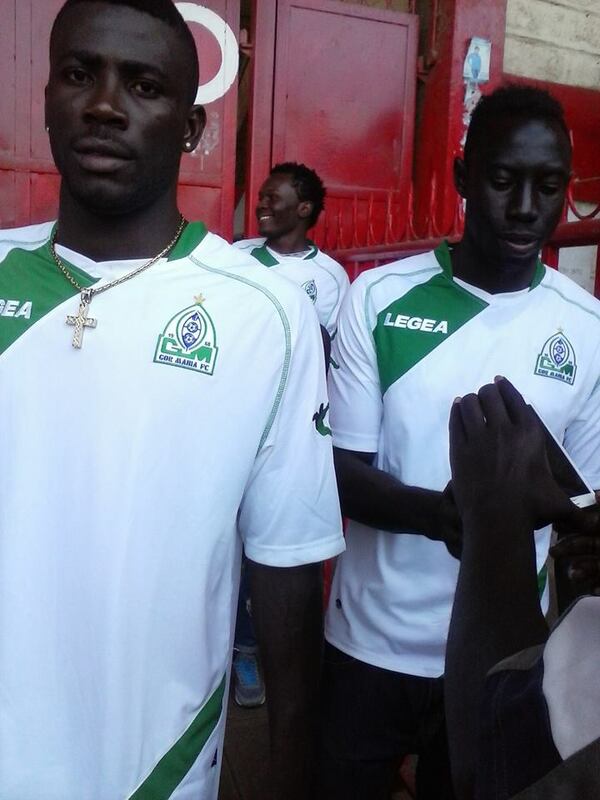 The Gor Mahia squad for the first leg of the 2015 KPL season was named yesterday. Missing from the squad is Ghanaian striker Taofiq Zakari. Meanwhile giant Ugandan defender Israel Emuge who at one point appeared to be on the way out has been recalled. Emuge had an injury plagued 2014 season. As for Zakari, he is being dropped because the club has already reached its allowable quota of foreigners. On January 2, FKF chairman Sam Nyamweya announced that teams playing continental football will be allowed to sign 7 foreigners. Currently Gor Mahia has 9 foreign born players : Simon Pierre, Sibomana, Nigiyizimana, Kagere, Emuge, Dirkir Glay, Walusimbi, Aucho and Zakari. One of these ( either Glay or Pierre) qualifies for residency as a refugee. According to orgainizing secretary Ronald Ngala, Zakari had been signed as a potential replacement for Dan Sserunkuma as Gor Mahia desperately searched for a goal-scorer. He was assesed by the assistant coaches and deemed acceptable. Coach Nuttall having assesed both he and Olunga deemed them adequate but not outstanding. Nuttall seemingly prefers to keep Emuge as the 7th foreigner. However according to Ronald Ngala, Taofiq has already signed a contract and the club is now obligated to sign him. Interestingly, Taofiq played in the match against Kibera Black stars in which Gor Mahia won 3-0 thanks to goals from Sibomana, Kagere and Simon Pierre. Goalkeepers – David Juma, Jerim Onyango, Boniface Oluoch. Defenders – Haron Shakava, Dirkir Glay,Israel Emuge,Musa Mohammed, Simone Guidougue, Charles Bruno, Godfrey Walusimbi, Martin Werunga, Bernard Omondi, Sibomana, Eric Ochieng, Kevin Oluoch Aboubad, Abdoul Nizigiyimana. Strikers –Michael Olunga, George Odhiambo, Kagere Medie, Timothy Otieno.